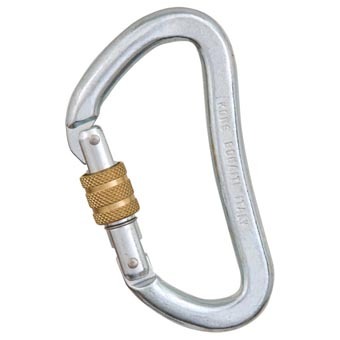 The Heavy-Duty carabiners are designed for professional work and rescue use, where strength is paramount. Strength aluminum: 40kN. Strength steel: 60kN. Weight aluminum: 85 grams. Weight steel: 232 grams.